Farm Firewood is a supplier of seasoned hardwood logs, sourced from sustainable managed woodland from our farm in North Oxfordshire. 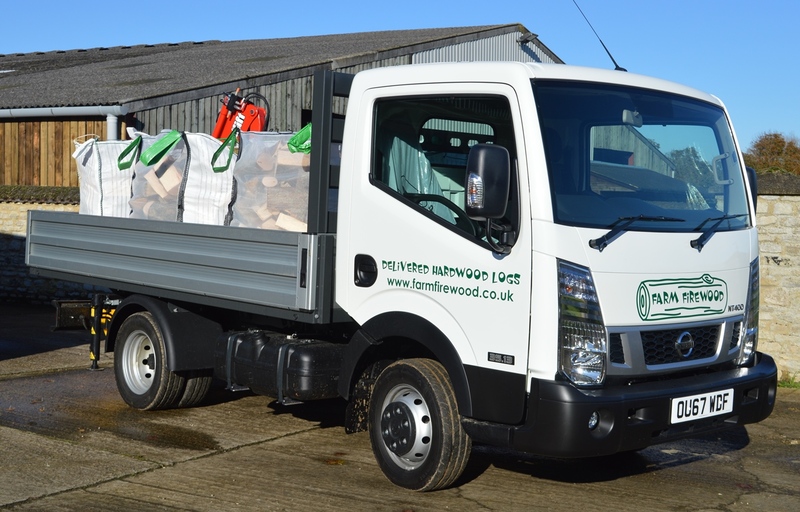 We deliver logs for free within a 12 mile radius in convenient large bulk bags or smaller barrow sacks, straight to your home. Farm Firewood pride ourselves on selling high quality hardwood logs that are very well seasoned and dry (well below 20% moisture content), so there are no harmful emissions and the logs are ready to burn on open fires, wood burners, multi-fuel stoves, garden fire pits, pizza ovens, chimeneas or campfires. Our logs are environmentally friendly too, as our wood is sourced from our own farm, leaving a very low carbon footprint. Our logs are from a renewable and sustainable source, from woods that have a thinning licence. Buying from us ensures that your local woodland will be protected and it’s wildlife habitats improved. Free delivery around the towns of Bicester, Brackley, Buckingham and Banbury.